- Supplemented with several vitamins, such as A, D3, E, K3, C and B1. For the treatment of: Polymicrobial diseases or with uncertain etiology; Chronic infectious diseases, such as chronic respiratory disease (CRD); Enterotoxic bacteria. 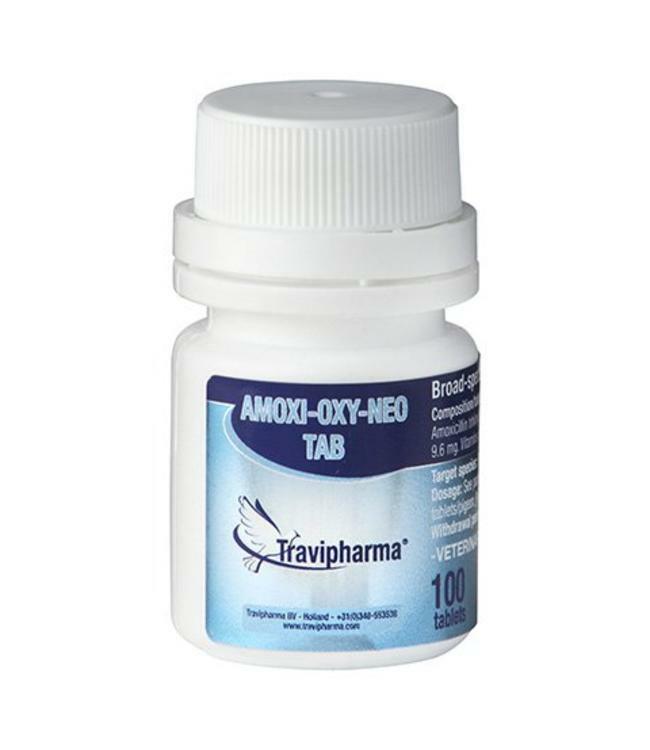 Do not administer in case of hypersensitivity or resistance to Oxytetracycline, Amoxicillin or Neomycin. Do not administer to poultry/pigeons producing eggs for human consumption. Do not administer to animals with a serious impaired liver. Meat: 28 days. Eggs: Not permitted for use in laying birds producing eggs for human consumption. Estimate correctly the animal weight in order to avoid the under, and overdoses.